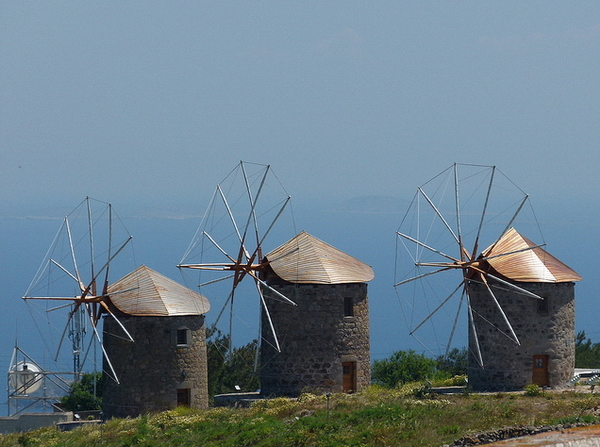 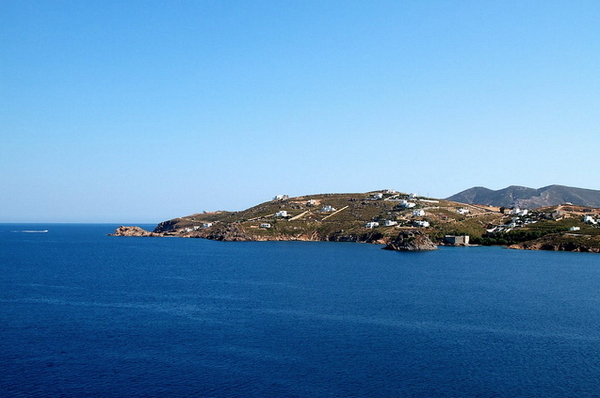 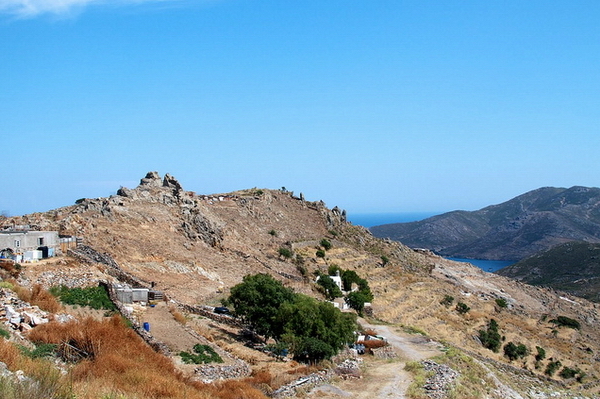 Patmos is located between Leros and Ikaria, and is a mountainous island with beautiful landscaping and beaches. 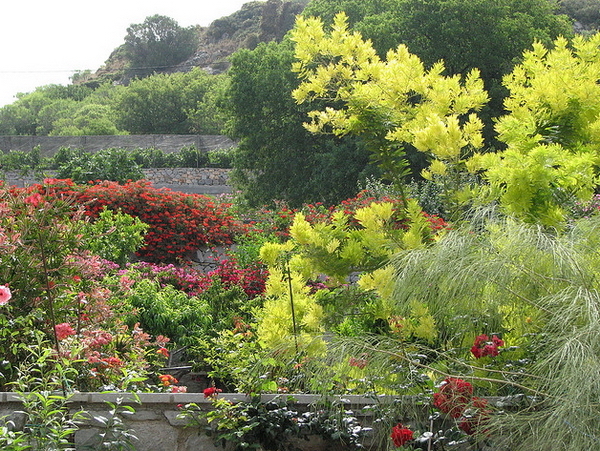 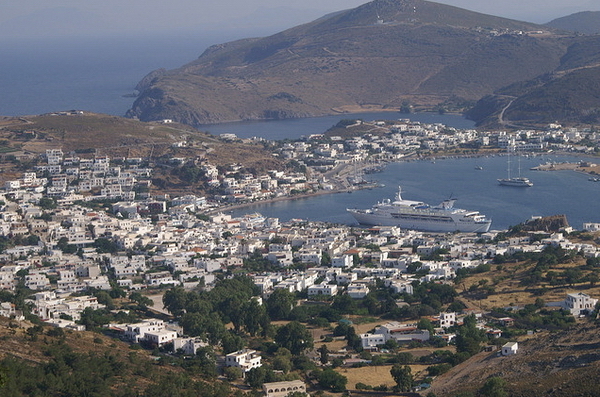 The main communities of Patmos are Chora, its capital, and Skala. 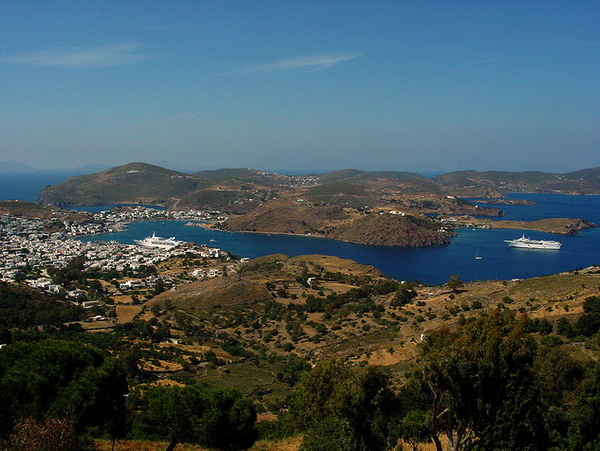 Patmos has derived much of its fame from the mention of the island in the Bible’s Book of Revelations, when John was exiled to Patmos and received a vision from Jesus. 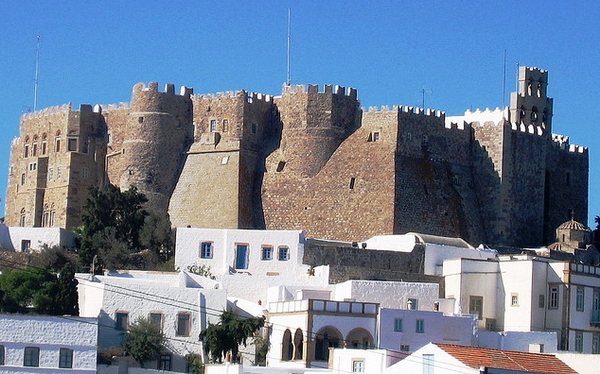 Because of this, Patmos is a very popular destination for Christian pilgrimage, as the cave where John received his Revelation, and several monasteries dedicated to Saint John are found here. 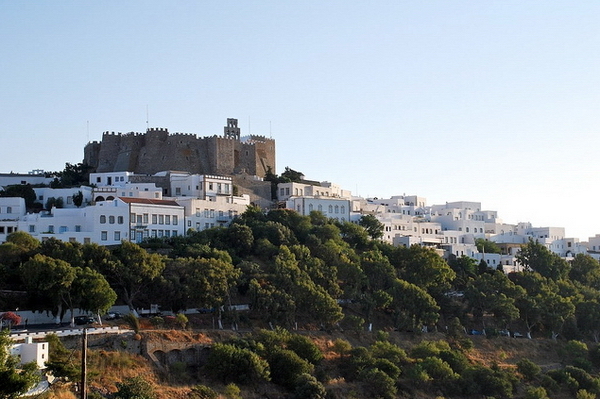 The Patmos island features beautiful white cube shaped houses spilling down the sides of a hill, along with churches and grand sea captains’ mansions. 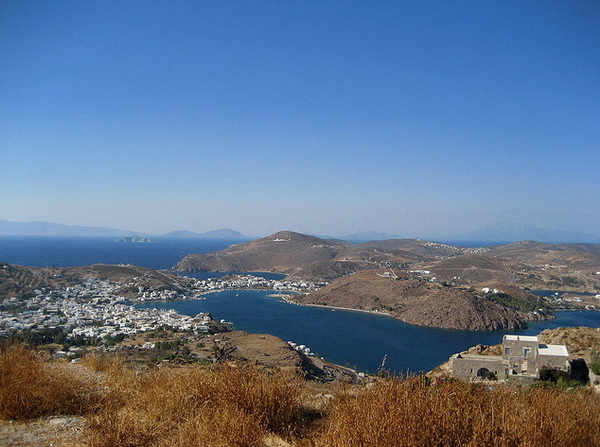 All are separated by narrow lanes, high walls, and small square openings which will grant you a view of the majestic Aegean Sea. 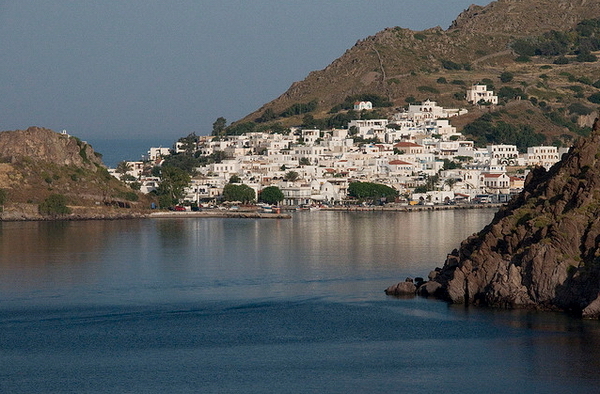 Skala is the main settlement on Patmos and features whitewashed houses and flowered courtyards, as well as hotels, restaurants, and shops. 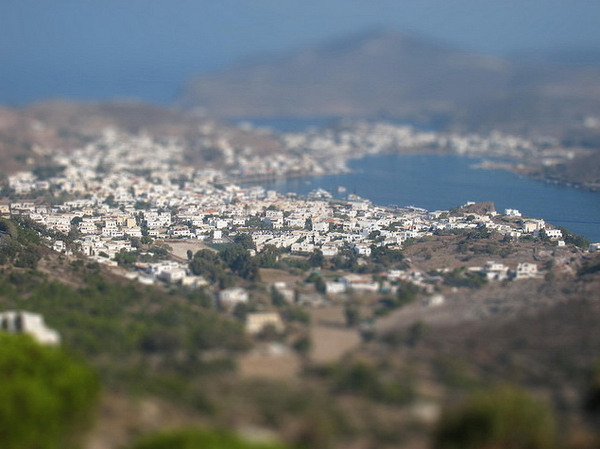 Villages close by include Kambos and Netia. 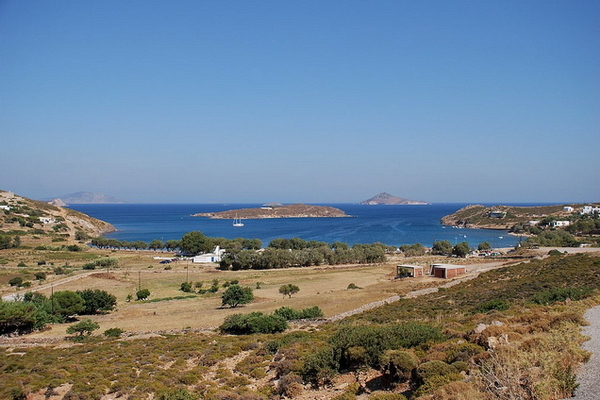 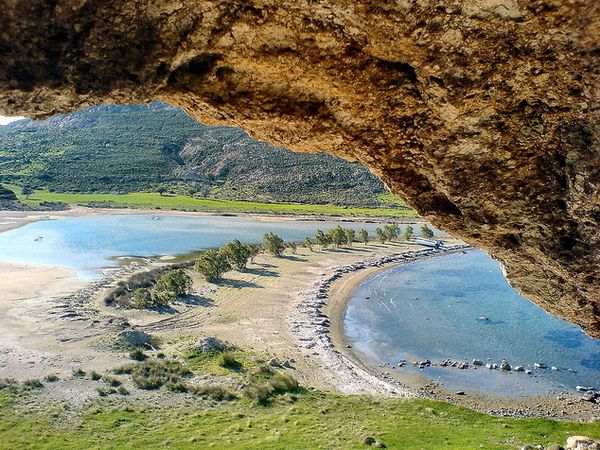 Kambos is located near what is considered to be the finest beach on Patmos. 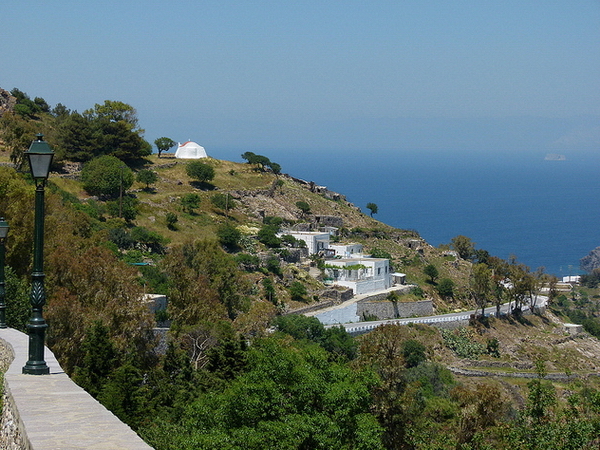 Netia features the baptismal place of John the Evangelist. 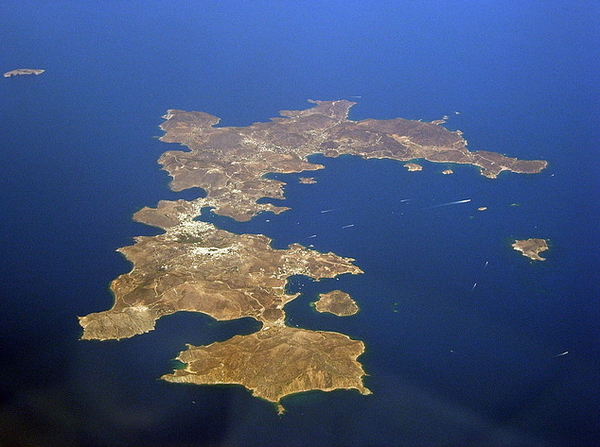 Netia also holds fine restaurants and a newly built dive center.